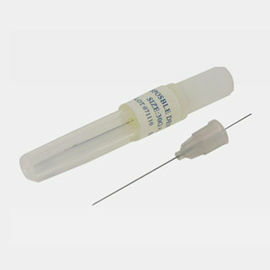 Dental needle is composed of upper and lower protective cap, needle and needle hub. The cannula is precisely processed and siliconized to reduce pain and skin trauma for patients. The needle hubs are color coded by gauge for easier identification.